Facebook is rolling out a new feature called Memories. It allows you to browse all the moments you’ve previously shared with family and friends. Either its posts or photos, friends you’ve made or major life events, you can now find everything in a single place called Memories. 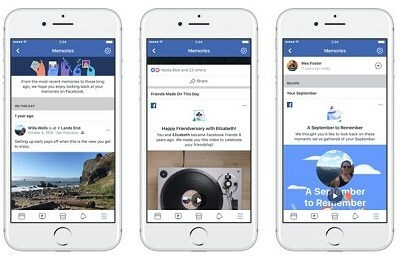 According to Facebook, it felt the need to add a feature like this since more than 90 million people every day are using On This Day to remember the moments they’ve shared on Facebook. Facebook users can access Memories via notifications, through messages that they may see in their News Feed. The new features is available to Facebook users on Android and iOS devices.